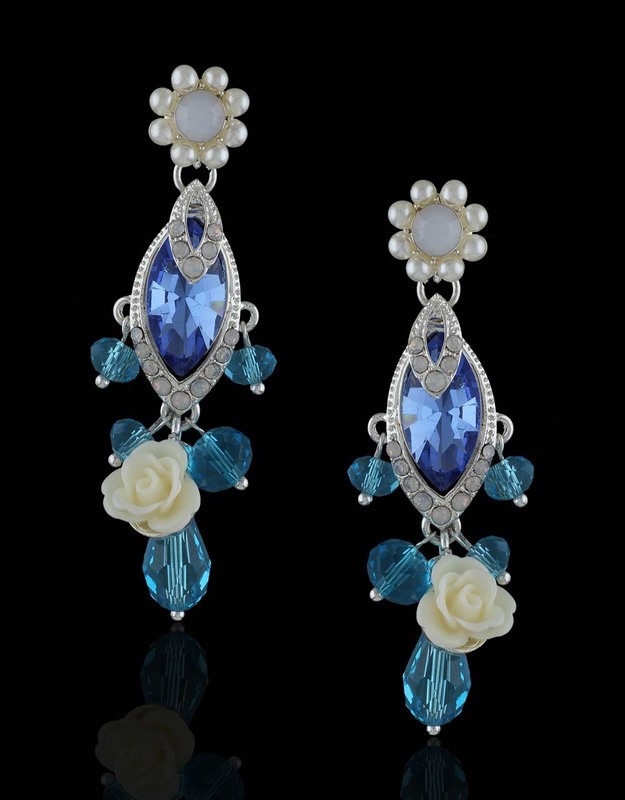 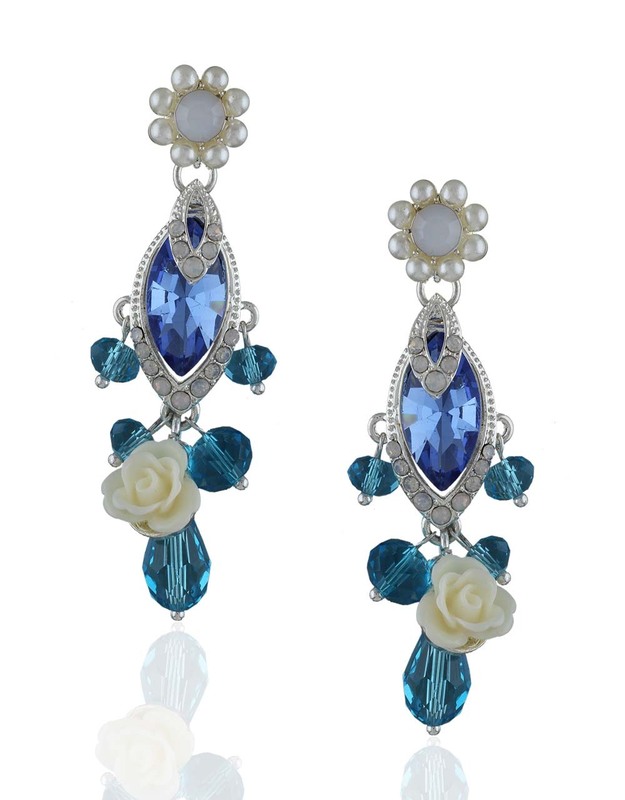 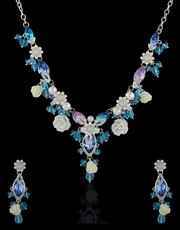 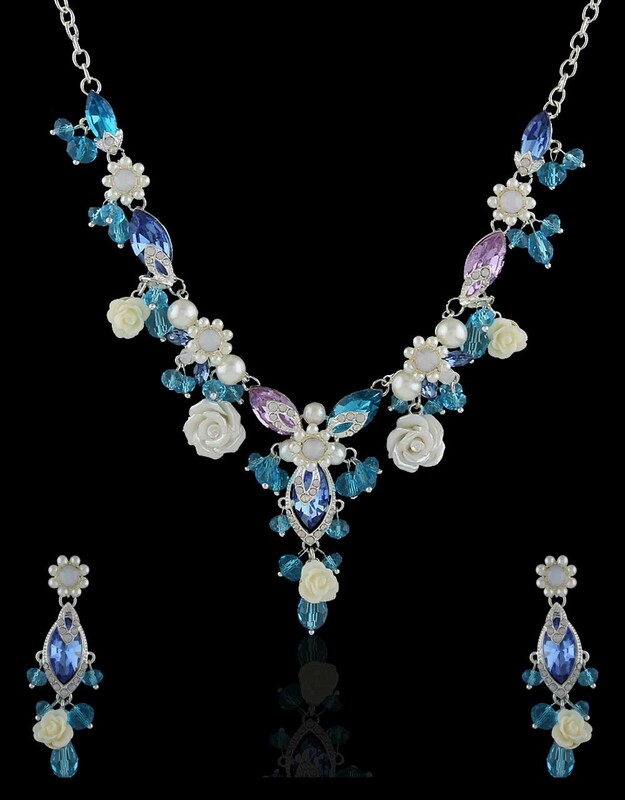 Blue color floral necklace set embedded with sparkling stones along with pearl beads & crystals will appeal to you at very first look. 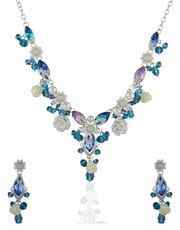 It is crafted from silver polished Korean metal. 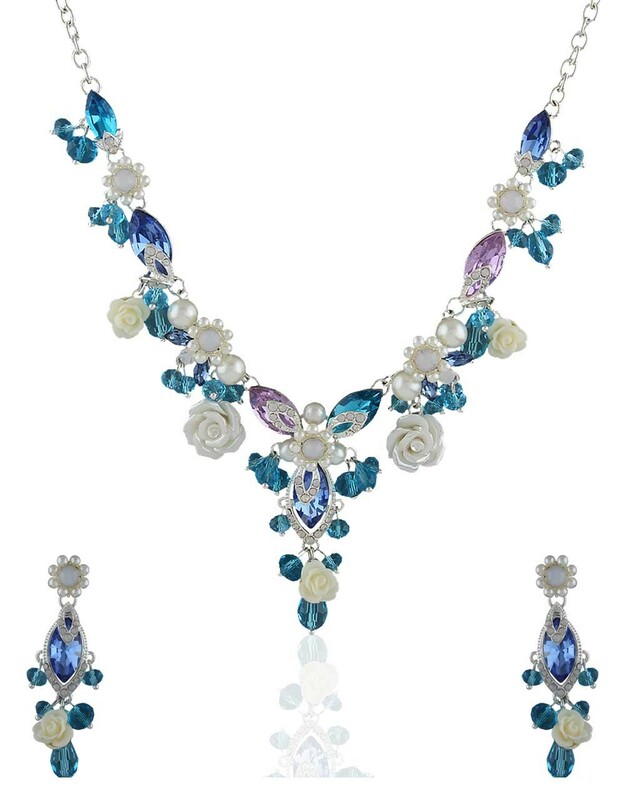 This endearing necklace is perfect pick for you to club with party attires.